Just a couple ideas here for what to do with leftover corned beef. 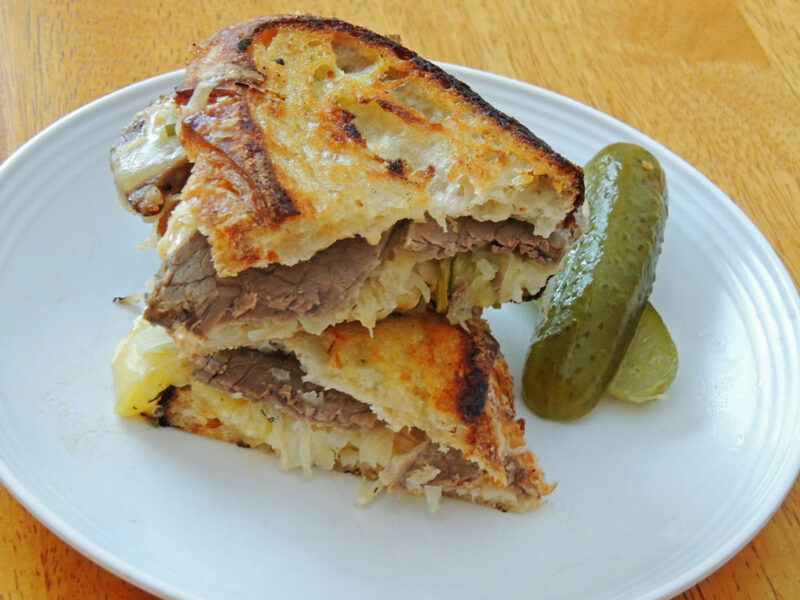 Super easy hash and reuben sandwich. Other ideas: soup, quesadilla, taco, casserole. Enjoy! Heat 1-2 tablespoons fat in a cast iron skillet over medium heat. Add the potatoes and onions. Season generously with salt. Cook, stirring occasionally, until they start to brown, about 8 minutes. Toss in the cubed corned beef, add some black pepper, and continue cooking until potatoes are nicely browned and beef is heated and also starting to brown, another 5 minutes or so. 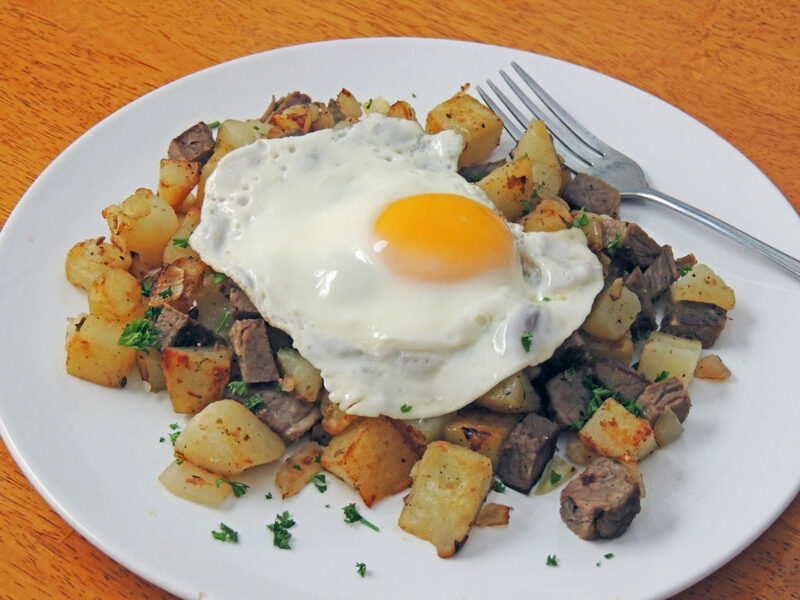 Shortly before the hash is done cooking, soft boil or cook your eggs sunny side up to serve atop the hash. Sprinkle with parsley and serve immediately. Start a cast iron pan heating over medium low heat. Mix together the dressing ingredients. Butter one side of each slice of bread. Lay the bread with buttered sides down. Layer some slices of corned beef on one piece of bread. Pile some sauerkraut generously over the corned beef. Add a slice or two of Swiss cheese over the sauerkraut. Smear the top piece of bread (the unbuttered side) liberally with Russian dressing, maybe 2 tablespoons, and place on top of cheese. Cook the sandwich on one side until bread is browned. Carefully flip and cook the other side until nicely browned and the cheese is melted. Eat immediately!